Yesterday, I woke up bright and early to experience the grand opening of the Innisfree flagship store in Union Square. The famous Korean skincare company was offering a bomb beauty gift box for the first 100 people in line, so I figured I’d give it a try! Unfortunately, I arrived a little too late to get my gift box, but I still managed to buy some great products. 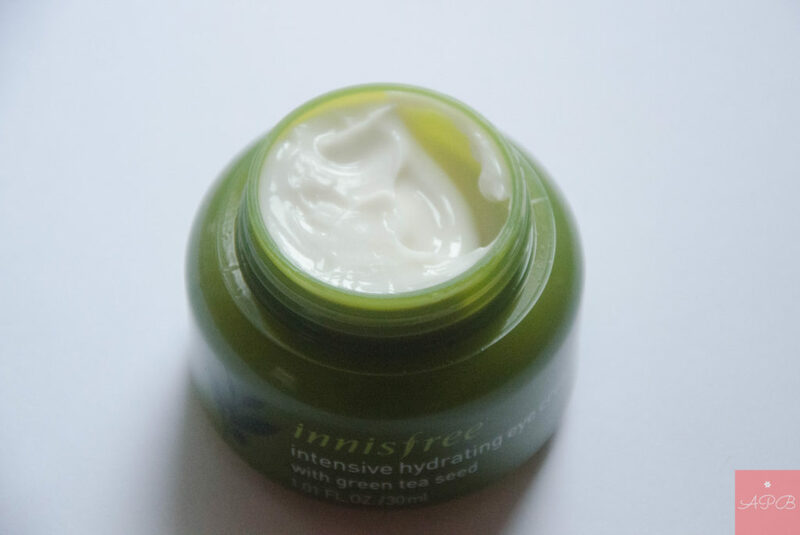 I’ll be sharing my purchases in this 4-part Innisfree skincare blog series. 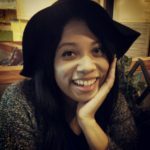 Let’s talk about green tea first! Green tea is an antioxidant and a natural anti-inflammatory agent that protects your skin from the elements and keeps it looking youthful and nourished. Since I’ve been on kind of a Green Tea product binge, I decided to try out the ones that Innisfree offers. I went for an eye cream and a cleansing oil. Let me start out by saying that the packaging on this product is awesome! I love how it feels and looks expensive without a shocking price tag. I actually think this eye cream trumps the one that I had been using from Tony Moly because it has a thicker consistency that keeps the area beneath my eyes hydrated throughout the day. So far, I have not noticed any oily residue from this product. It is thick, but not so much that my skin feels weighed down. 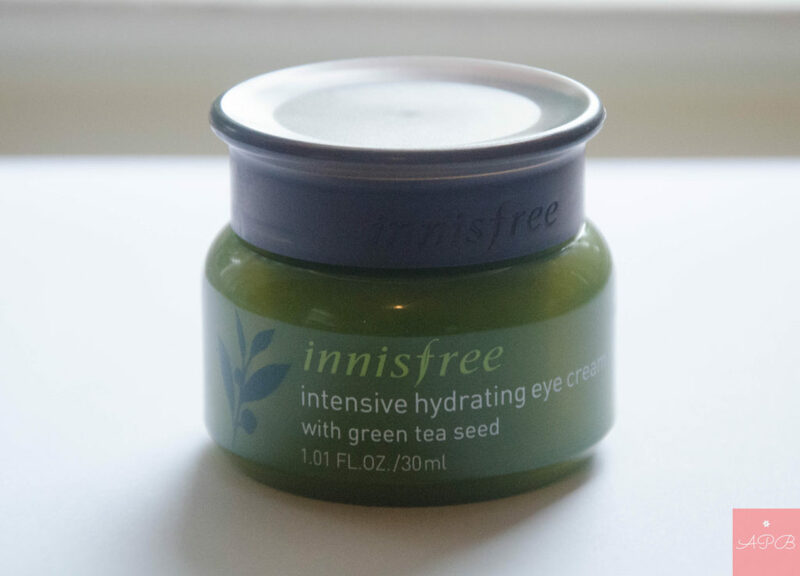 Another positive point about the Intensive Hydrating Eye Cream is the light, green tea scent. I was so relieved when I took a whiff of it because I find that many skincare products that are packed with perfumes just irritate my skin. For the past three months, my oil cleanser of choice has been the Honey & Herb Cleansing Cream from Nature Republic. Around two weeks ago, I started to notice that the blackheads on my nose and the surrounding area were getting out of hand. I’m almost sure that the creamy texture of the cleansing cream was too much for my skin. 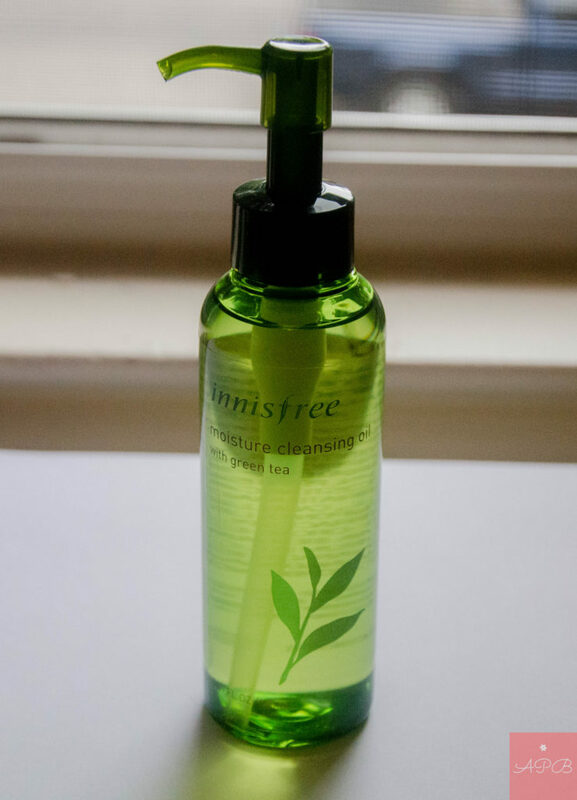 I don’t wear foundation that often, so I decided to try the Moisture Cleansing Oil With Green Tea from Innisfree. The formulation is lighter and washes off much easier. This cleansing oil is also more convenient for me to use. While I had to wipe off the Honey & Herb Cleansing Cream from Nature Republic with a tissue after applying it, I am able to just rinse off Innisfree’s Moisture Cleansing Oil. This makes it easier to wash my face in the shower. All in all, I’ll probably keep using these products to see the long-term results. In the meantime, I want to know what your favorite green tea skincare products are. Let me know in the comments section and I’ll try them out!